An interpretation of tea ceremony, by Terrie Lloyd, a long-term technology and media entrepreneur living in Japan. Back in March 2014 in Terrie’s Take 748 I wrote about Japanese green tea, matcha, and how remarkable it is. 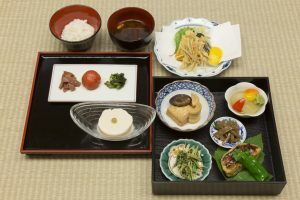 Not only does the herb have one of the highest antioxidant ratings of any natural food, its unique taste is spreading alongside sushi, miso, and wasabi – converting millions to a healthier, more flavorful Japanese-style diet. It is probably safe to say that matcha is also one of the few foods in the world to also be an art form and a philosophy – although I suppose that Belgian (or Swiss) chocolate might be a close competitor! My Japan Travel business is experiencing strong demand for custom tours and in our one-on-one phone consulting process, we quickly get through the hotels and sightseeing must-stays and must-sees, then wind up with what to actually do. Customers most commonly tell us that they want to do something very Japanese – something which is both memorable and artistic. If the customer is a first-timer to Japan, my consultants will usually list in order of preference: being entertained by a real geisha, having dinner with a sumo wrestler, watching a ninja workout, and going to a Kabuki performance. These are all highly memorable experiences, but they are also very visual and stimulative – almost theme-park-esque, which makes them in fact the exact flip side of the understated core persona of most Japanese. Instead, if you want to capture the essence of Japanese spirit you also need arts with a dash of stoicism, nuanced values, and a direct connection to Buddhist or Shinto philosophy. These art forms are by their very nature less entertaining, but can nonetheless be memorable providing the thinking behind them is explained. Noh would be a leading contender for a deep dive into the collective Japanese psyche, as would Ikebana (flower arrangement), pottery making, and of course the tea ceremony. The Japanese tea ceremony came into being with the return of early Buddhist monks from China. Wikipedia says the first recorded evidence of tea in Japan was in the 9th century when Buddhist monk Eichu served tea to the Emperor Saga. However, it really started gaining popularity in the 12th and 13th centuries after another monk, Eisai, introduced the frothy green tea preparation method, along with seeds that became the start of tea plantations in Kyoto (Uji). But what about matcha as an art form? Well as you can guess from the potted history above, Buddhism played a big part in the dissemination of tea drinking around the country. It follows that as the samurai class rose in stature, it wanted a culture it could call its own. Following a book written by the monk Eisai in 1214, called Kissa Yojoki (How to Stay Healthy by Drinking Tea), the cues he offered evolved into a somewhat severe but popular aesthetic among the upper classes that honored humility, simplicity, imperfection, and emptiness of ego. The tea ceremony provided a nice stage to demonstrate the ideals of the age, growing evermore ritualized and subtle as it evolved. By the 16th century tea drinking had become popular all over Japan, and amongst the wealthy and cultured, matcha and the tea ceremony became an artistic expression of human harmony, purity, and tranquility — all values in short supply during an age when life was often brutal and short. 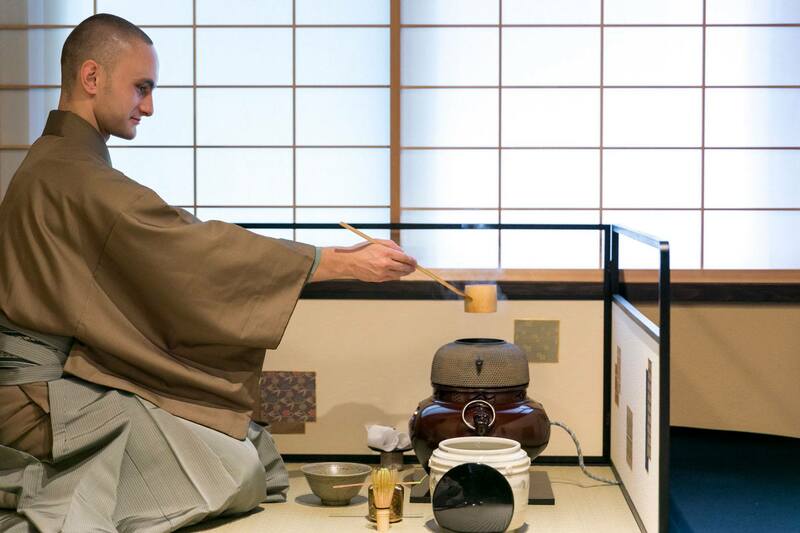 Perhaps because it developed as such an understated art form, the tea ceremony was able to last another few hundred years relatively untouched, even as the world around it changed so dramatically. But even in tea ceremony, some things have changed, and one of the most significant of these has been the arrival of foreigners who are willing to so thoroughly immerse themselves in the culture that they have become qualified to share the most refined arts with others not born here. One such outstanding practitioner of traditional tea ceremony is Belgian national Tyas Huybrechts. Huybrechts discovered Japan as a teenager, both through kendo (swordsmanship) and reading Yoshikawa Eiji novels. He eventually earned a masters in Japanese Literature and started his tea apprenticeship by working at a tea merchant in Uji. Somewhere along the way he realized that his life work would be the sharing of the magic of the tea ceremony with other non-Japanese. Today he runs a tea ceremony school and tea-selling business. I asked Huybrechts to share a few words about the tea ceremony and what makes it special. TT: Of all the things to learn about Japanese culture, why the tea ceremony? Huybrechts: Of all Japan’s traditional spiritual pursuits, none synthesizes a greater number of artistic practices than the Tea Ceremony. In its fullest form it combines flower arrangement, calligraphy, ceramics, lacquer work, architecture, garden-design, cuisine, incense use, and much more. 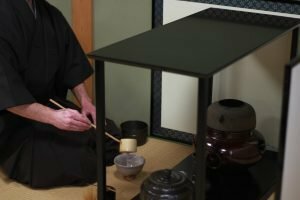 TT: Why create lessons based on traditional tea ceremony, when the macro trend is to make Japanese culture more accessible? Huybrechts: I feel that Kyoto is turning into a big theme park, where traditional performing arts and venues have become mere attractions. This is not necessarily a bad thing, but it does mean that visitors miss out on the real experiences, the truths, they could otherwise be discovering. TT: But aren’t you in a sense also contributing to the over-commercialization of the tea ceremony with your lessons and outreach? 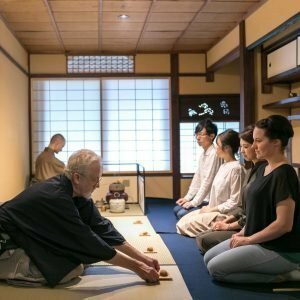 Huybrechts: While there are some Japanese tea ceremony instructors who over-commercialize the ceremony by shortening it to just 40 minutes, we believe that with sincere intentions and with the credentials and skills earned the hard way, that we will be able to introduce people to the deepest experiences to be had in a tea ceremony. Yes, this will take them more time, but the resulting self-awakening is worth it. TT: How does this play with other tea masters? Huybrechts: Having a purist approach, we haven’t run into any opposition from other tea masters regarding our plans. On the contrary, most sensei we speak with actively encourage us in our efforts. TT: What got you hooked on tea ceremony in the first place? Huybrechts: Ever since I started practicing tea ceremony I felt a sense of peace. I am in a different world, a different state of mind when I am in a tea environment, and when I am serving. In a tea environment, everyone is equal. Everyone is respected regardless of rank, status, gender, or nationality. Constant care is taken in making everyone comfortable, and appreciation is always expressed for such consideration. I believe that we could all learn something from this level of human interaction, if only it occurred on a larger scale. TT: What is your lifelong goal? 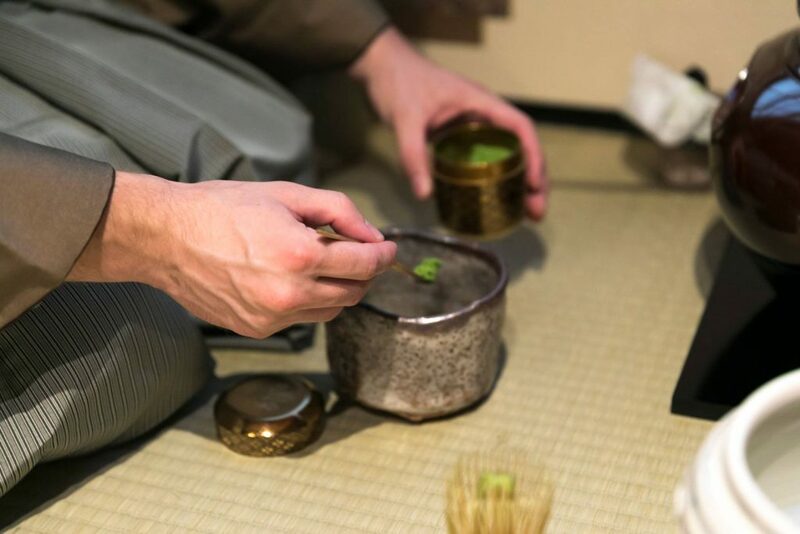 Huybrechts: Through tea-ceremony and sharing a cup of tea, I want to introduce the essence of tea ceremony to as many people possible, hoping the experience will provide even the slightest of inspirations to help change their lives for the better.